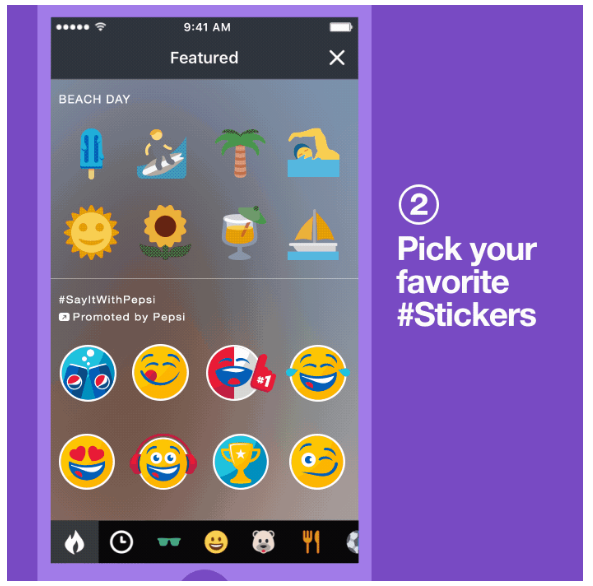 Twitter announced the launch of Promoted #Stickers as a new marketing tool for brands. Twitter launched #Stickers for users back in June for those wanting to add some fun to their tweets. Brown says that Pepsi will be Twitter’s exclusive launch partner of their Promoted #Stickers, creating and sharing around 50 unique stickers across 10 of their markets. They are hoping to jumpstart their global PepsiMoji campaign into a fan-driven viral marketing push. Pepsi will not only be pushing their campaign, but also will help educate Twitter users on how to use their #Stickers. It’s unknown what Pepsi paid Twitter, if anything, to be their first Promoted #Stickers advertising partner.